Like clothes, watches and shoes computer accessories, especially computer mice are also going trendy these days. There are very many people in the world who don’t bother to invest thousands of dollars for computer mice. Considering their fascination manufactures have introduced some wonderfully designed gorgeous looking very expensive computer mice that make their owners very proud and satisfied. The humble computer mouse then turns into a vital asset for the owner. 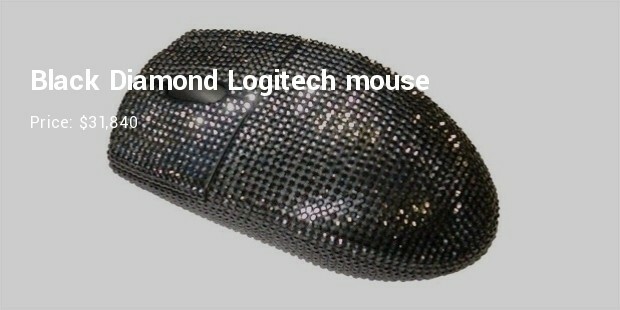 Most of these computer mice are studded with expensive stones or metals like diamond, sapphire, platinum and gold. This is the most expensive wireless mouse that the world has ever seen. It looks like a Gold brick with three buttons of a mouse including a scroll wheel as usual. 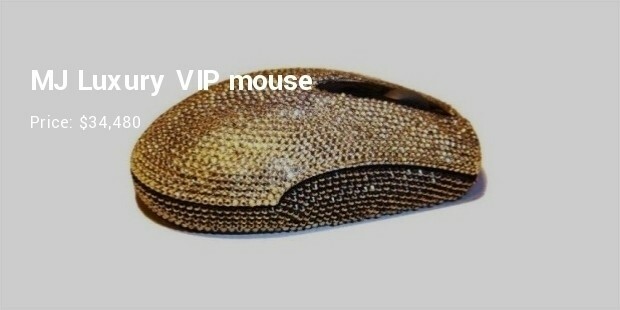 The entire body of the mouse is made with 18K gold which makes it so expensive. 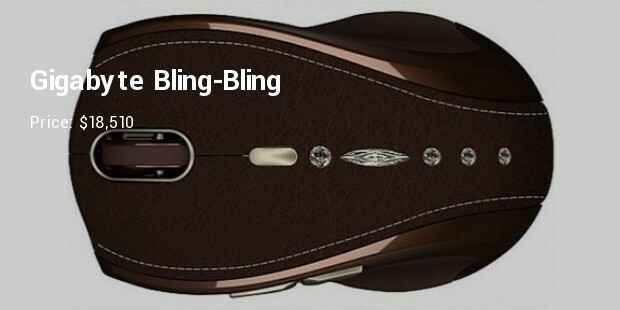 This expensive mouse is fully studded with diamond in the upper parts and both sides. It’s a wireless laser mouse with two push-buttons and a scroll wheel in between. This extraordinary mouse is studded with black diamonds. 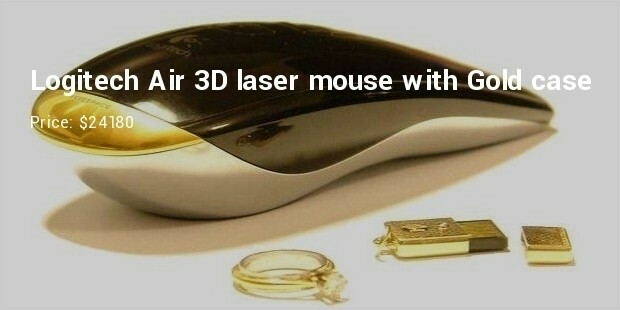 With all other features of a laser mouse, it’s a good collection for computer users who are interested in jewelries also. 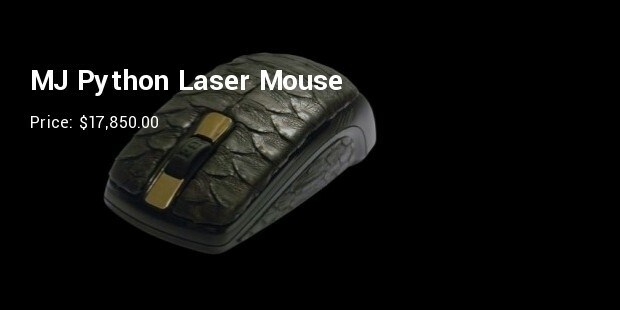 This is a limited edition expensive mouse. 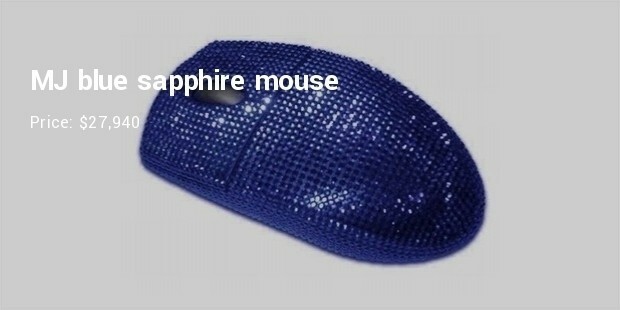 Studded with blue sapphires on a gold base this splendid mouse is a indeed a great collection for the owner. This is the most expensive one and has 18 karat white gold and covering has 59 diamonds. If you are a big spender and want to gift it someone, then you why not go for this high end mouse. 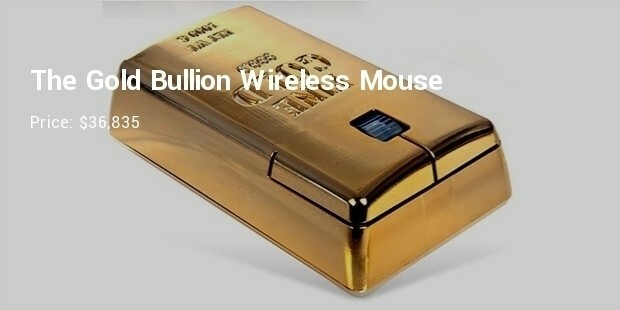 From the house of Logitech, the mouse is covered with gold case and features jewel micro flash drive and diamond ring. Right from the look and its features, it is defiantly the best one to go for. 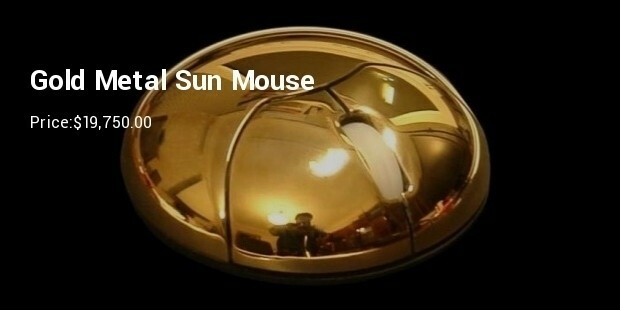 This fully functional mouse is shaped with circular disc, body of pure gold. The shiny look also gives the reason to buy and use it carefully. If you want to spend big, then buy this mouse. This stylishly looking mouse coms with advanced laser tracking system and comes with 4 way scrolling wheel and ultra-portable Nano receiver. This wireless technology is a must buy for high spenders. Made from genuine Python leather, this is quite expensive one to be used. The item comes with roller ball and is locked between 2 golden plates. If you want to spend high money, then this is the best one to go for. Fully covered with crocodile skin and 18 carats of gold and blue diamonds. The piece is pure gem and is worth using if you love luxury stuff around. It is available in limited edition and is highly expensive. 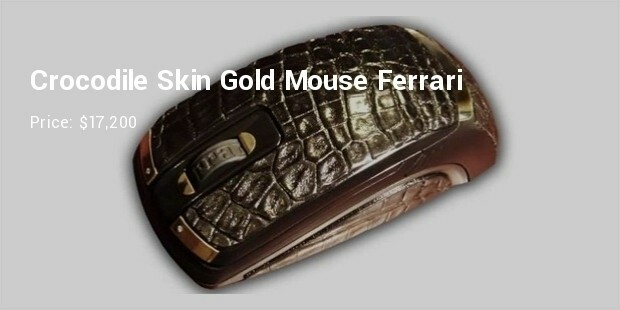 Luxury computer mice have become a trend nowadays. 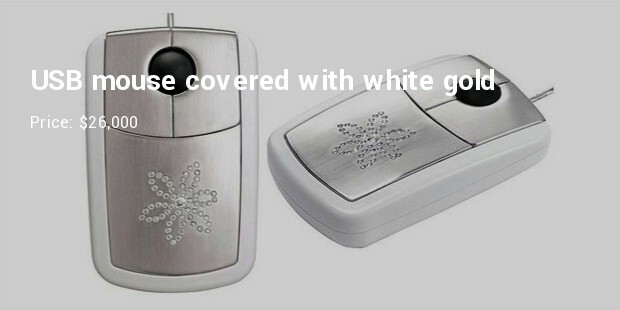 Computer users, who are financially sound and keep interest in luxury items, make all efforts to get these stunning mice at any cost. These are indeed collectors’ items, which expensive items users can’t ignore.